Plaid allover is a style I like to wear once in a while, in order to live my love for mixing up fashion pieces, patterns and colors. It is always great fun to search for new styles in the design world and to dig out vintage pieces from my personal collection – and then putting them all together. First of all, there are so many possibilities and second of all the results are always amazing. You wouldn’t believe what can fit together, you just really have to try it out. For this look I stayed in plaid allover. The pattern is very popular these days and you can find it everywhere. Practically every designer picked up this classy style right now and the results are beautiful. There are dresses, jackets, shirts, pants, accessories – actually there is nothing that is not in this plaid pattern. 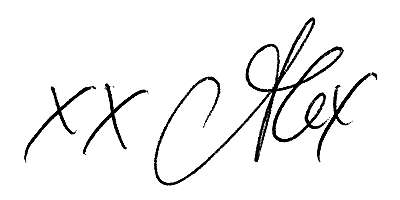 It has something very classy and old fashioned about it and it always looks very elegant. And the new interpretations are modern and cool as well, so anyone can actually wear it – either in a sporty and young manner or all fancy. Just see whatever you feel like wearing. I am starting this look by wearing a burgundy and yellow checked wool blazer from Burberry. They are known for their checkered patterns for years and are also very famous for it. The traditional fashion house offers a beautiful range of this lovely style. To go with it I put on an oversized checkered shirt in red, black and white plaid by Gucci. And for more of this style I slipped into my high-waisted checkered trousers from P.A.R.O.S.H. All these plaid pieces work amazingly together but you can just as well style them alone.For example with denim, leather or plain colors that match. Around my waist I am wearing a browny embossed leather belt by Max Mara. I think it picks up great with the tones of the rest of my outfit. Everything is in an autumn color mood and goes super well with the colors in nature right now. 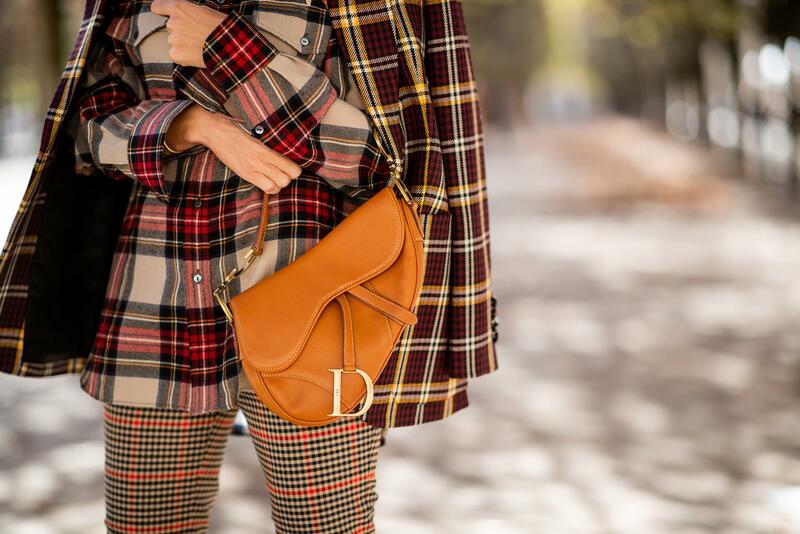 For this plaid allover look I dug out my vintage Dior saddle bag in cognac. It also harmonizes wonderfully in color and in style – I am so glad I always keep my special fashion items – they are forever fashion pieces. And this bag is very classy and goes well with the checkered trend. The boots you can see me wearing are my purple Gianvito Rosso. They work with short skirts or denim wear or as you can see here with a cool style mix. My sunglasses are the black Audrey’s by Céline. Plaid allover is a great eye-catcher and a must-wear these days – try it out and mix as much of the pattern as you feel like!